Who Benefits the UFC's Bottom Line More, Jon Jones or Daniel Cormier? On Friday, Oct. 9, GLORY returns to the Mile High City for its 24th event, which will take place from Magness Arena on the University of Denver campus. In the night’s main event, a pair of top-ranked middleweights will lock horns, as American Joe Schilling takes on Dutchman Jason Wilnis. Schilling was originally slated to face reigning middleweight champion Artem Levin, but the Russian was forced out due to injury. 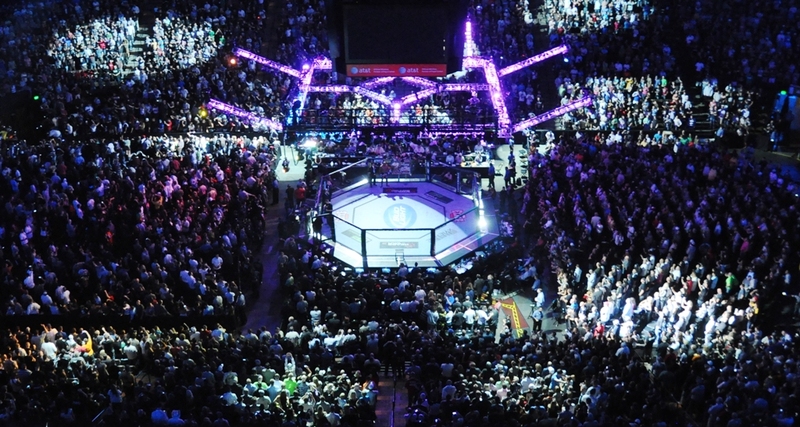 Schilling has not competed in the GLORY ring since February, when he claimed a decision win over Canadian Robert Thomas at GLORY 19. Wilnis, meanwhile, was last in the GLORY ring in April, falling short against recent title challenger Simon Marcus in the contender tournament final. Also on the main card, there will be a four-man, heavyweight tournament that will reward the winner with a title shot against champion Rico Verhoeven at GLORY 26 in December. In one half of the bracket, Australia’s Ben Edwards faces off with Jahfarr Wilnis, the older brother of Jason, while recent title challenger Benjamin Adegbuyi clashes with Croatian Mladen Brestovac in the other half of the ladder. The opening bout of the heavyweight tournament features the GLORY return of Australia’s Ben Edwards and Holland’s Jahfarr Wilnis. Edwards has not been in the kickboxing ring since his last visit to Denver, which resulted in a knockout loss to Errol Zimmerman at GLORY 16. The Aussie has been active in the boxing ring, however. Edwards will hold about a 20-pound size advantage in this contest and carries with him the experience of facing some of the biggest names in the division. He’s scored wins over Jamal Ben Saddik, Daniel Sam and Mighty Mo, and he went the distance with GLORY champion Rico Verhoeven. Edwards will need to close the distance in this match-up with Wilnis and use his boxing skills to get the better of the exchanges on the inside. Wilnis has been absent from the GLORY ring for slightly longer than Edwards, but he has been very active over the last year and a half. Since a GLORY 14 knockout loss to fellow tournament participant Mladen Brestovac, Wilnis has been on a roll. Fighting for China’s Kunlun FC, the Dutchman has reeled off five straight wins, including a victory over Hesdy Gerges to capture the promotion’s tournament. Wilnis is a more traditional Dutch kickboxing practitioner and has a much stronger kicking game than Edwards. He’ll need to use that, along with his height advantage, to keep the larger Edwards on the outside. Based on the outcome of Edwards’ last fight in Denver and the recent success Wilnis has found under the Kunlun banner, this fight should feature three rounds of Wilnis outworking Edwards. As long as he can avoid engaging in a boxing match from the pocket, Wilnis should cruise to a decision win and earn his spot in the finals. 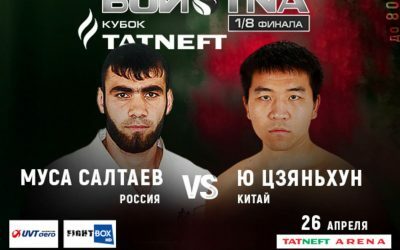 The other half of the tournament features a rematch of a 2012 bout under the SUPERKOMBAT banner between Romania’s Benjamin Adegbuyi and Mladen Brestovac. Adegbuyi claimed that bout via unanimous decision. Adegbuyi has long been one of the most exciting heavyweight prospects in the sport. Combining an aggressive style with natural knockout power, it’s often a matter of when, not if, he’ll score a finish. However, the 30-year-old saw a lengthy winning streak come to an end earlier this year when he dropped a five-round decision to champion Rico Verhoeven at GLORY 22. The loss marked the first time Adegbuyi had come up short in the GLORY ring. He bounced back in September with a win over Alexandr Soldatkin, but the Verhoeven fight proved that Adegbuyi still has holes in his game and can be topped by a more technical fighter. Brestovac is the most experienced combatant in the tournament and has been fighting for well over a decade. He’s fought for K-1, SUPERKOMBAT and, most recently, Final Fight Championship. His lone GLORY appearance came last March, when he needed just 79 seconds to put away fellow tournament competitor Jahfarr Wilnis with a left head kick. 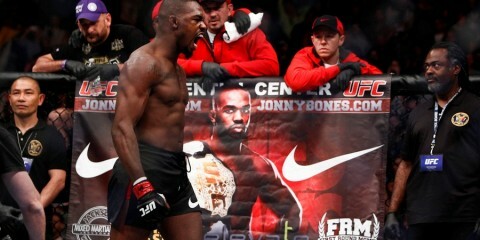 The 31-year-old has not tasted defeat since his loss to Adegbuyi in 2012, and he’ll certainly be looking for revenge. For all the experience that Brestovac has, he’s not the same level of athlete as Adegbuyi. Certainly the Croatian is the more dangerous kicker, but Adegbuyi will get inside and prevent him from unleashing those weapons. Adegbuyi will be looking to get this over quick and will punch his ticket to the final with a fight-ending right hand midway through round two. 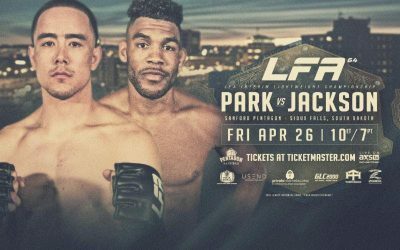 If you’re looking for an exciting match-up, then the middleweight contest between Dustin Jacoby and Wayne Barrett is likely to send you home with a smile on your face. Jacoby finally got a reprieve from facing the division’s elite at GLORY 23, and he easily captured the event’s one-night tournament with a pair of knockout wins. The wins moved his record back to the .500 mark and proved that he’s got the ability to compete at the sport’s highest level. 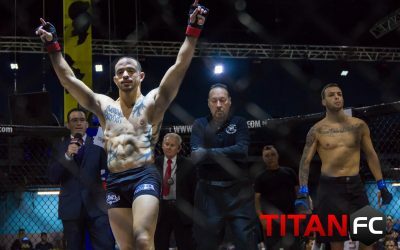 The former UFC fighter and football player has stepped into the ring against the likes of Michael Duut, Danyo Ilunga, Alex Pereira and Mourad Bouzidi, so a match-up against Barrett isn’t going to faze him. The question is, can he build on his tournament win and pick up a big win against one of the division’s best? If there’s a fighter who can relate to Jacoby’s experience of facing a who’s who of the middleweight division early in his career, it’s Barrett. 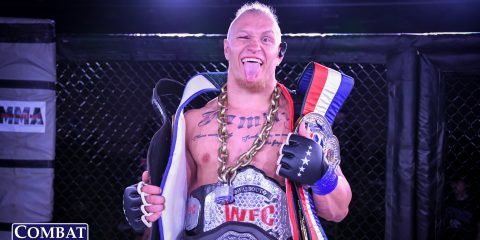 After shocking the world by beating Joe Schilling at GLORY 12 in his home of New York, many were expecting the former Georgia Golden Gloves champion to challenge for gold. However, that hype train came to halt when he fell in a rematch with Schilling and then dropped bouts to Jason Wilnis and Simon Marcus. On a three-fight skid, Barrett is in need of a win. This fight is a coin flip. Jacoby and Barrett are both natural athletes that have found success in the sport very early in their careers. Jacoby has shown that his heart can push him past technique disadvantages and Barrett has never been finished in kickboxing competition. Jacoby tends to get wild when he gets hit, but he trains with a top-notch camp at Factory X Muay Thai and will have the hometown crowd behind him. Barrett will push him early, but Jacoby’s resolve will be the difference as he ekes out a win on the scorecards. 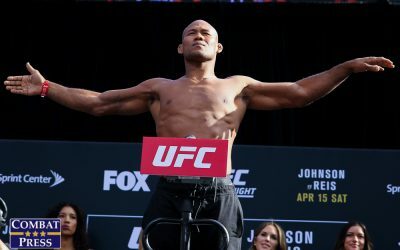 If things go as described above, then the next challenger for Rico Verhoeven’s belt will be either Holland’s Jahfarr Wilnis or the last man to challenge Verhoeven, Benjamin Adegbuyi. On paper, Adegbuyi is the favorite in this tournament, and it’s up to him to prove it. Wilnis holds a slight experience advantage and has been the more active fighter over the last year, but he’s not the finisher that the Romanian is. For Wilnis to win, he’ll have to mimic what Verhoeven did against Adegbuyi and weather the early storm and outpoint him on the scorecards. That’s a tough way to win a tournament and I don’t see it happening. Adegbuyi wins by second-round knockout to earn another crack at the champion. The night’s main event between Joe Schilling and Jason Wilnis is also driven by revenge, not against each other, but against current middleweight champion Artem Levin. Undoubtedly, Schilling was disappointed to see Levin pull out and take away his title shot, but he’ll have the chance to lock up the No. 1 contender position again by defeating Wilnis. Schilling’s 2015 has had its ups and downs. He began the year by defeating Canadian Robert Thomas at GLORY 19 in February to rebound from his GLORY 17 loss to Levin last summer. 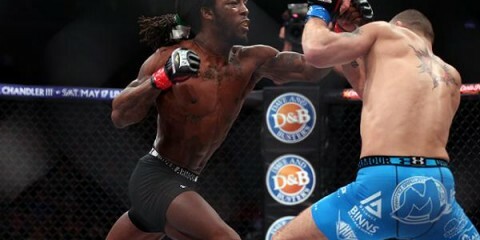 Then Schilling competed twice in the Bellator MMA cage, losing both bouts. Now he’ll return to his natural confines of the ring and get back to what he does best. Schilling’s heart in the ring is unmatched, but he can be beaten by fighters who come forward and use fluid combinations. His most recent loss to Levin and both his losses to Simon Marcus are evidence of this. Schilling is much more content to brawl and put his money on his chin holding up when his opponent’s does not. It makes for a fan-friendly style, but it also leads to inconsistent results. Wilnis, on the other hand, is much more technical and far less flashy than his American foe. In fact, all six of his appearances in the GLORY ring have gone to the scorecards, including losses to the aforementioned Levin and Marcus. Wilnis is the more proficient kicker of the pair and is less likely to unleash unorthodox attacks. After a razor-close split decision loss to Marcus in his last GLORY outing, he’ll look to earn another crack at Levin by upsetting Schilling. 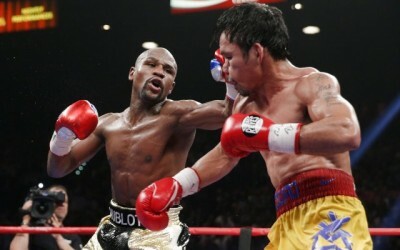 Both fighters have faced similar competition and found similar results, but with very contrasting styles. Wilnis wants a technical fight at range, where he can score with combinations. Schilling will look to disrupt the rhythm of the Dutchman with a variety of attacks and a go-for-broke approach. Wilnis has never been stopped, so this fight is probably heading for the scorecards, but it’ll be Schilling who inflicts more damage and earns his rubber match with Levin with the decision win.